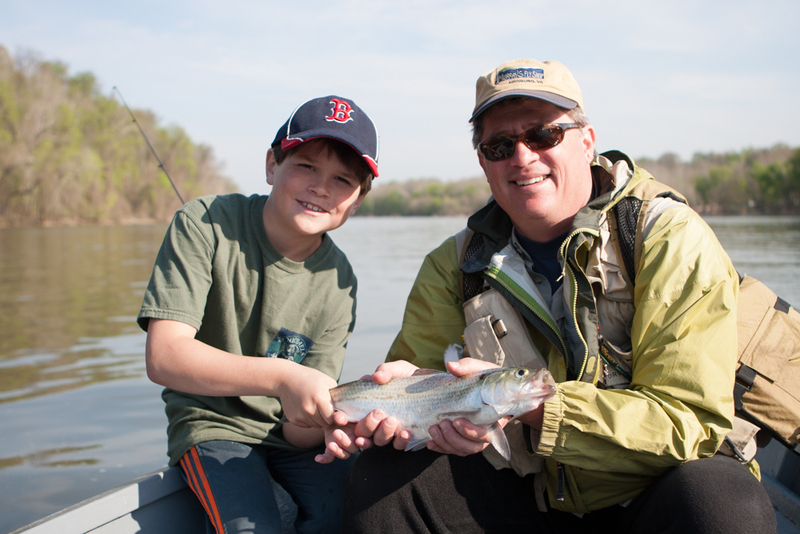 It could be argued that the reason we exist as a nation is due to the American shad. Shad have been called the founding fish for good reason. The arrival each year was a blessing and taken advantage of by the local Native Americans and early colonists. It’s been said that George Washington was indeed a shad fisherman in the spring, and that dried shad had saved his troops from starvation during the long harsh winter of 1776 at Valley Forge. 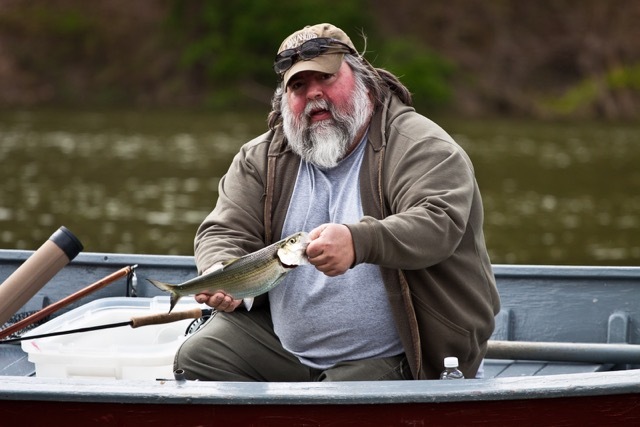 Local fly fishermen also pursue the shad run. 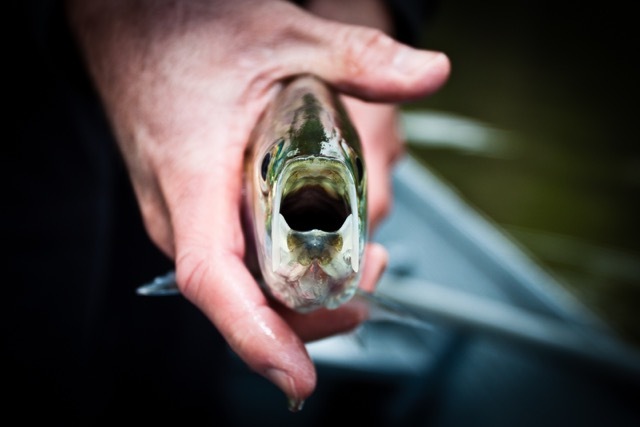 Generally arriving in early April, the shad stack up inside Fletcher’s Cove during moving tides, staging their continued progress upriver to spawn. 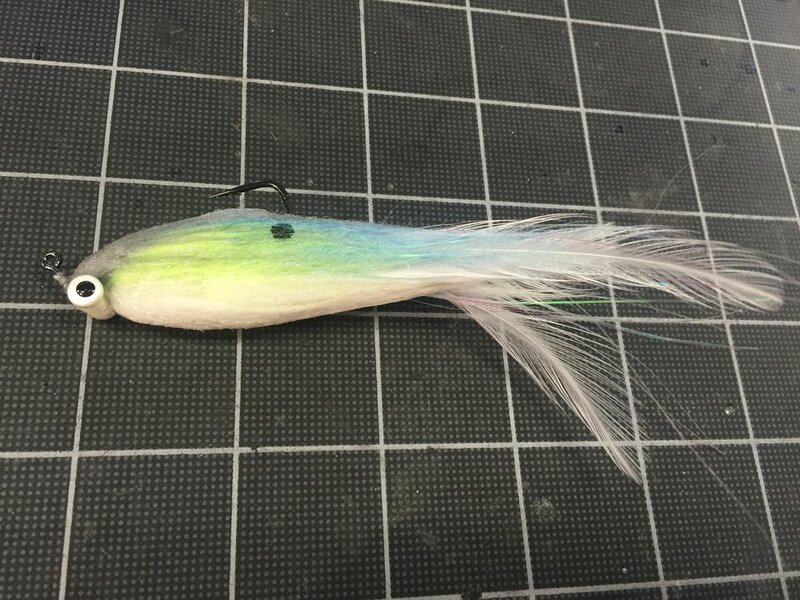 Seasoned shad fishermen will row out and tempt them when the run is at it’s peak with colorful flies adorned with weight, color, and flash in the hopes that they will feel the electricity connecting the shad and angler. It is a social fishing scene, one that most local anglers hold dear. 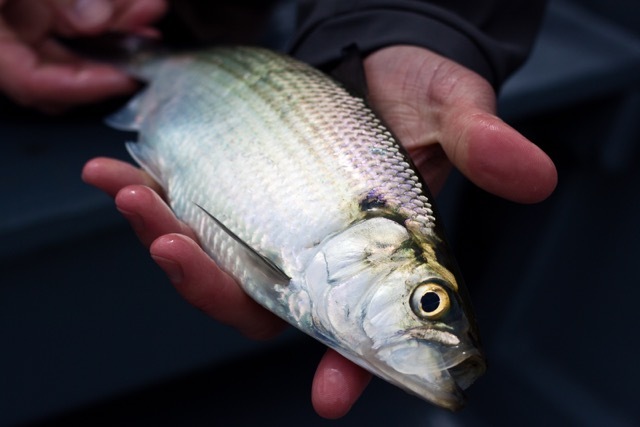 In addition, just before the shad run, large striped bass make an appearance eating the herring that arrive by the millions. Most of these "rockfish", as they're known locally, will be between 8-12 pounds, with their weights climbing into the high teens and into the 20 and 30 pound mark. 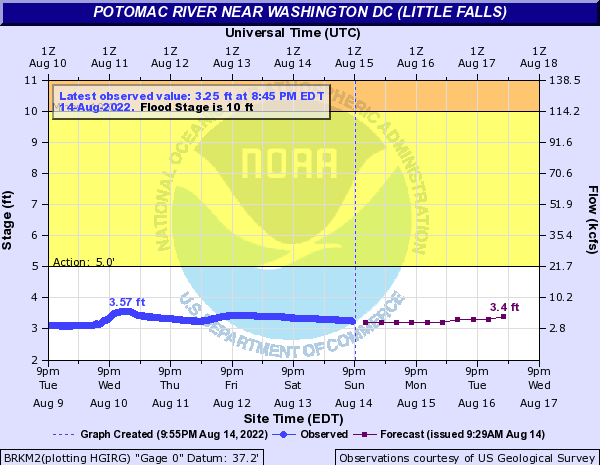 An electrosurvey of the Potomac River one year produced a 60lb. fish in the Georgetown area. These fish are not easily caught on fly gear... they sit in the depressions in the bottom along the river and will ambush their prey as it appears. Heavy jigs adorned with long feathers and flash will get their attention, so imitating that with your flies can sometimes work. 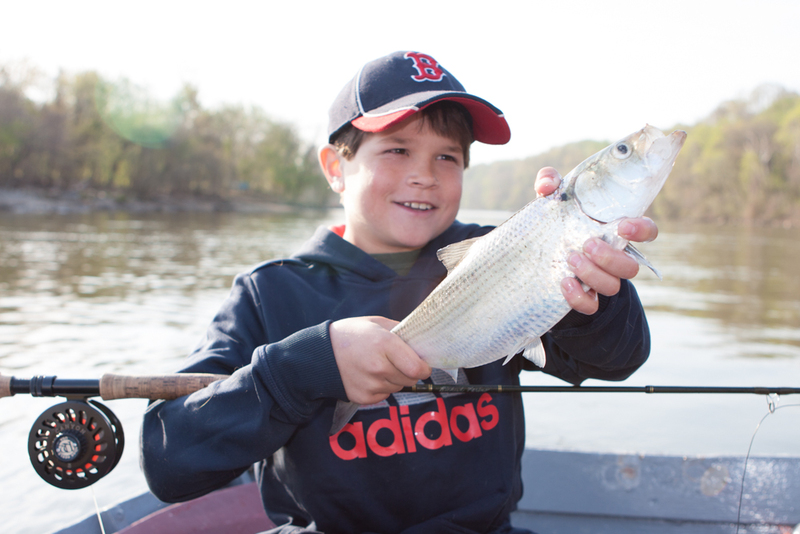 If you hook into a fish and it runs downstream, you'll be delighted with your catch of a solid striper. 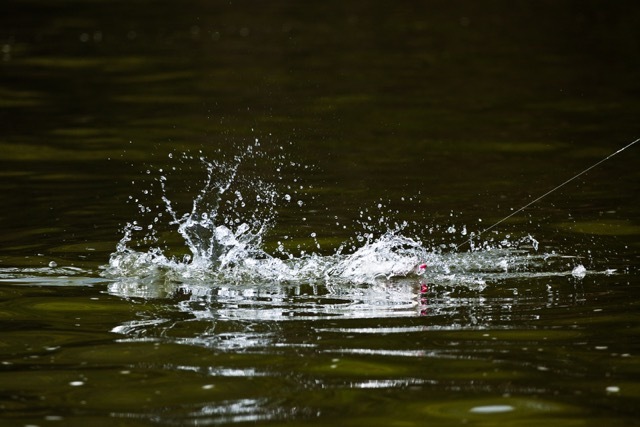 If it fights you just below the boat, you have the potential of landing a world record blue catfish on fly tackle - they can reach upwards of 40 pounds. Once the spring rains and flooding has subsided, the local schoolie striped bass, largemouth bass, yellow and white perch, and northern snakehead all start biting a bit better. As the water starts to clear and the submerged grasses grow, filtering the river more, the fishing gets tougher and the river warms, leading into the summertime largemouth bass frog fishing over lilypads and spadderdock. This is when flyfishing with deer hair bugs and topwater patterns become the most fun. The shad are HERE! Hickories have arrived along with striped bass. The hickory shad that are piling into Fletcher’s Cove right now are larger than they have been in years. Chartreuse shad flies have been outproducing other colors, but pink, white/red, and orange are working as well. 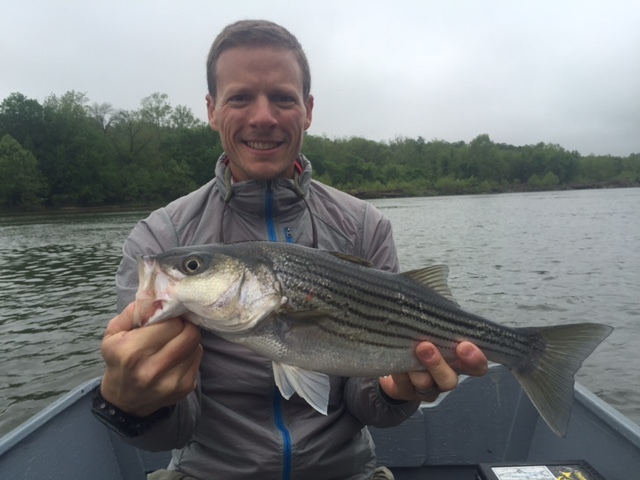 The striped bass arrived weeks ago (as seen on every DC blog and newspaper last week… thanks Connor Donovan!) but they’re not being caught much now. The lull will end and they’ll start eating again in a week or so. The water is clear - up to 6 foot visibility in places. Drop your tippet size to 10 lb. test if needed for shad, 20 lb. fluorocarbon for rockfish. 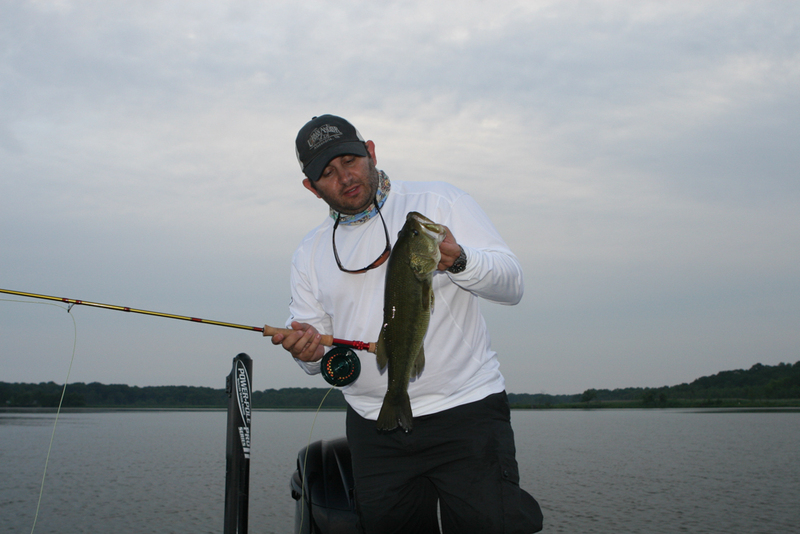 DC Shad report can be found by clicking HERE.